Renowned historian Doris Kearns Goodwin recounted her experiences with presidents past and present – and possibly future — and touched on the 2016 race for the White House during the keynote speech at NECA 2016 Boston on Saturday. Chatting with Doris Kearns Goodwin at NECA16 from NECAnet on Vimeo. A former White House intern who worked closely with President Lyndon Johnson in the 1960s, Goodwin said, in a sense, she “lives with” these presidents when she reads about their lives, studies their work and writes about them. Her book “Team of Rivals,” about President Abraham Lincoln, was hailed and had a profound impact on the relationship between Barack Obama and Hillary Clinton, who is running to become the first female president in American history. Finally, Goodwin lamented the deterioration in the relationship between the presidency and Congress. Goodwin signed copies of her books on the Convention Show Floor after her remarks. Tommaso Deserti, of growing tech company Nest, led a discussion on Friday at the #NECA16 Business Development Meeting. Deserti talked about how he feels the world is becoming even more connected and noted the prevalence conversation related to the concept of the Internet of Things (IoT). “Fast is the new normal,” he said. Deserti noted how many products installed in the home can also be installed in an office space and that one in seven Nest customers actually have a “works with Nest” integration. Jason Potterf, with Cisco, and Jon Zelinsky, with Philips, continued the discussion citing figures estimating that 50 billion to 200 billion devices could be connected to the internet by 2020. Lighting is one of those things, he added. “It’s also a way for companies to transform their brand – using LED controls,” he said. Among the things Potterf discussed was network-powered lighting and its key drivers, which include energy savings and building analytics, and the benefits of Power over Ethernet (PoE). Bob May, Chairman of the Business Development Task Force, spoke at the beginning of the meeting, saying his work with the committee was a joy. “The forward-looking ideas that came out were energizing,” he said. May also talked about the Energy Study Mission, a new initiative that brings together NECA members interested in the energy sector. 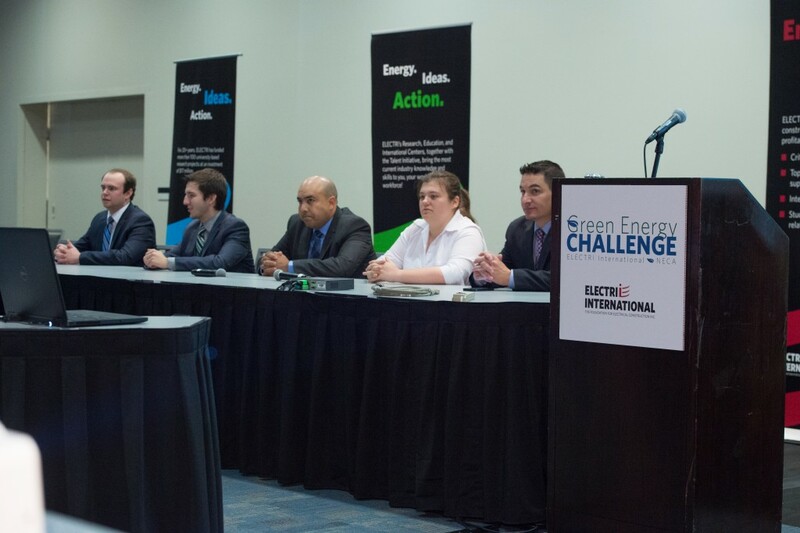 The first ESM took place in Colorado earlier this year. “I encourage you to come out next year,” he said. He added that new awards have been established by NECA to recognize important projects around the country. 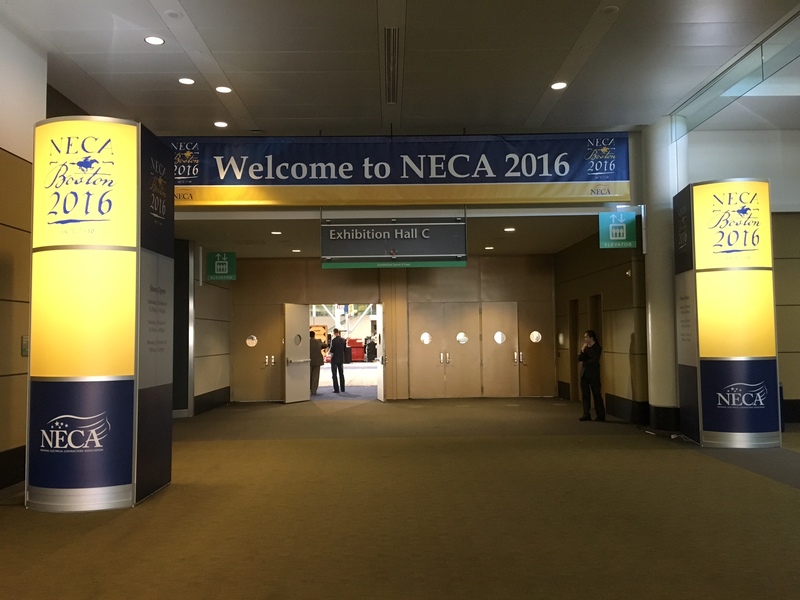 Welcome to NECA 2016 Boston! You have arrived at the electrical construction industry’s No. 1 event — The NECA Convention and Trade Show — an exciting mix of opportunities for education, inspiration, networking, and fun! Now, through Monday, October 10 at the Boston Convention and Exposition Center. For all the information you need, go to www.necaconvention.org. Or, download the app! There, you’ll be able to view a full schedule and get to know your way around Boston. NECA will kick things off Friday night by hosting the opening reception at the Museum of Science, a landmark institution known as a mecca of revolutionary discovery. By popular demand, the Blue Wing’s main stage will feature the return of Milwaukee Tool’s Tool Shed Band. There is truly something for everyone – interactive exhibits, inspiring encounters and tantalizing cuisine inspired by the regional elements of New England. You will also get to hear from several dynamic speakers while you’re here. The Opening General Session will feature Doris Kearns Goodwin, a world-renowned presidential historian and the author of six critically acclaimed and New York Times best-selling books. Closing General Session speaker Mick Ebeling is a film/television/commercial producer, philanthropist, technology trailblazer, author, entrepreneur and public speaker. He is the CEO of Not Impossible Labs, whose mission is to develop creative solutions to address real-world problems. Preconvention workshops start Thursday. Other meetings to attend include the Women in NECA Roundtable (Sunday), the NECA Business Development Meeting (Friday) and the ELECTRI International Green Energy Challenge (Friday). And don’t miss an incredible evening of music featuring a private concert by the Boston Pops Swing Orchestra at the famed Symphony Hall for our Closing Celebration. It starts at 7 p.m. on Monday. We hope you enjoy your stay in Boston and get the most out of #NECA16! It’s also important to note that the schedule for the convention has changed this year. Everything has shifted forward a day – to Saturday-Monday. 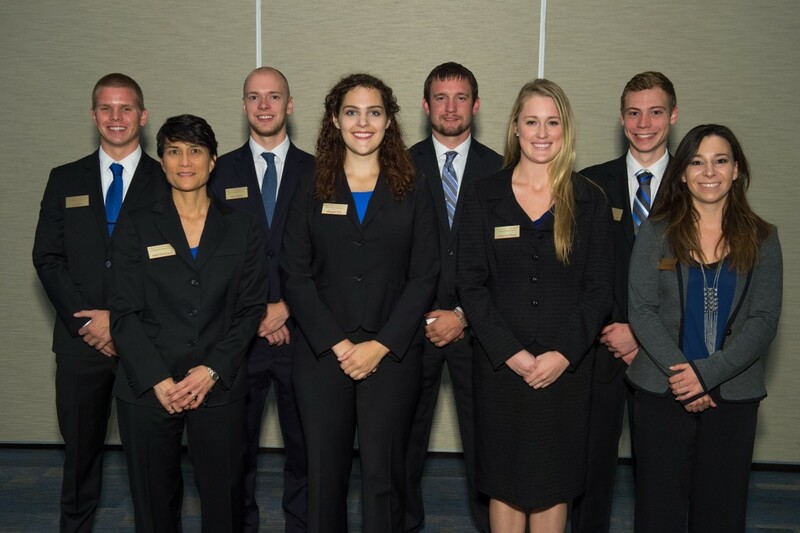 The Board of Governors Meeting will be on Friday. It will be the fifth time – and first since 2010 – that Boston will serve as host of NECA’s annual convention. For more information and to register for NECA 2016 Boston, go to www.necaconvention.org. Early registration closes on Aug. 18.